I heard about the death of a friend this week. I had only known Gary since March, when I met him and his wife, Patricia, while we were all looking for American Woodcock at Young C.A. one evening. I did not know Gary long or even very well, but to give an idea of what kind of person he was, I will share this story. I lent my binoculars to the Bohns in order to share the Woodcock I was watching and photographing. We watched the bird while we introduced ourselves and after a few minutes said goodnight. When I arrived home later I discovered I was without my binoculars. I have a horrible habit of leaving equipment on top of my car and driving away. Forgetting that I had lent the binoculars to Gary and Patricia, I assumed I had made yet another expensive and embarrassing mistake. The next day at the office, still smarting from my assumed mistake, I noticed I had a voice message. It was Gary informing me they had my binoculars. Gary had remembered what he learned about me the night before and taken the steps to track me down to make sure I got my binoculars back. Gary and I met for dinner later that week and discovered we had several things in common. He shared that he had worked as a photographer for the St. Louis Post Dispatch for a number of years. In recent years he had gotten more interested in birds, butterflies, habitat restoration and nature photography. We had agreed to get together in the near future for some spring birding/photography. We were only able to do so together on a couple of occasions, and the photo above was from one of these outings. Gary took me to a popular birding destination at Weldon Springs C.A. – a place I knew about but had never visited before. We had pretty good luck with getting a number of nesting songbird species, including hearing no fewer than three singing Cerulean Warblers. 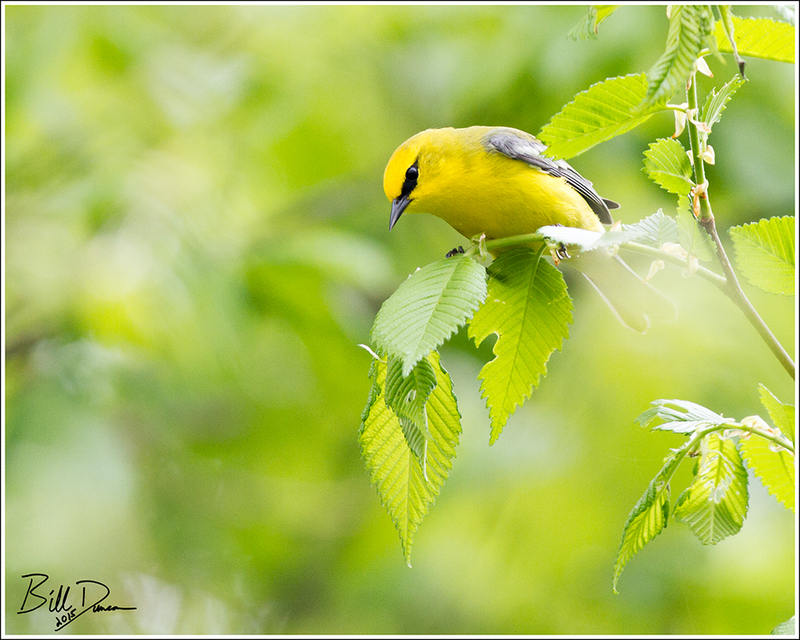 We were both able to get shots of this cooperative Blue-winged Warbler. Looking at the images on the back of his camera, I liked his better. In May, I had shared with Gary the details of a trip that Steve and I took to Quivira NWR and Cheyenne Bottoms in central Kansas. He was hooked and couldn’t wait to get there himself. I shared the details we had gathered and I know he made the trip sometime in the weeks prior to his passing. Unfortunately I was not able to hear from him about his experience there. I do hope he enjoyed it.